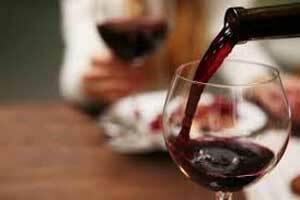 It is now known that wine is not entirely safe.Drinking a bottle of wine weekly is as bad as smoking 5 cigarettes for men and 10 cigarettes per week for women in terms of absolute increase in cancer risk, according to a BMC study. The results of the study have pinpointed the fact that just moderate levels of drinking, e.g. one bottle of wine per week can put people at risk of cancer, particularly breast cancer. In non-smoking men, the risk of developing cancer during one’s lifetime – associated with drinking one bottle of wine per week is 1.0%. Whereas, for women, it is 1.4%. Which means if 1,000 men and 1,000 women each drank one bottle of wine per week, around ten extra men and 14 extra women may develop cancer at some point in their life. In men, this risk appears to be associated primarily with cancers of the gastrointestinal tract, whereas in women, 55% of cases appear to be associated with breast cancer. Drinking three bottles of wine per week (approximately half a bottle per day) – a level known to increase the risks of a wide range of different health problems. The risk was associated with an increase of absolute lifetime cancer risk to 1.9% in men and 3.6% in women, or 19 in 1,000 men and 36 in 1,000 women, respectively. This is equivalent to smoking roughly eight cigarettes per week for men and 23 cigarettes per week for women. In order to calculate the possible lifetime cancer risk associated with consuming ten units of alcohol or ten cigarettes per week, the authors used lifetime cancer risk data from Cancer Research UK previously published data on the number of cancers in the population that can be attributed to tobacco and alcohol and relative cancer risk data for moderate levels of alcohol and tobacco use. The experts said that smoking carried much greater cancer risks than alcohol, for most drinkers. And the only way to cut the risks from smoking was to quit completely. Above all the government guidelines on alcohol consumption limits alcohol consumption for men to 14 units in a week, which is same level as for women.